It’s been a hectic time in the wake of the announcement of most of the ACO’s major championship entry lists last month. That shouldn’t though, let us forget that there were some hefty points arising from the suite of announcements that hit the pages of DSC from the Le Mans 24 Hours, FIA WEC and ELMS. The much-trailed, but barely announced, switch back to its original date of the WEC’s Fuji round, prompting a clash with Petit Le Mans and Super GT’s Autopolis round, thereby allowing Toyota to field their preferred line-up including Fernando Alonso, the twice F1 Champion now able to race at all of the 2018 races in the 2018/19 WEC Super Season. Without a doubt this is THE issue that grabbed the attention of the motorsport community with countless words written, not a little disquiet amongst teams, (particularly drivers) and fans and a flurry of post-announcement machinations that saw punches thrown on all sides of the debate. The aftermath, a predictable shift of the Super GT date (Toyota are, of course, significant stakeholders in that championship too) and an equally predictable inability for IMSA to move Petit Le Mans for a variety of completely correct reasons kept things rolling along. So, this being a comment piece, what’s my opinion? I really, REALLY don’t like the fact that this has happened, but there’s little doubt that in pure business terms there was precious little choice! Before we get into why that is, there should be no doubt that I have very considerable sympathies that lie, very firmly, with the individuals that this move has impacted upon personally from drivers, through team personnel and suppliers and on to those hardy globetrotting fans that follow the international circus of sportscar racing to its blue riband events. That said there are some other important factors to consider. 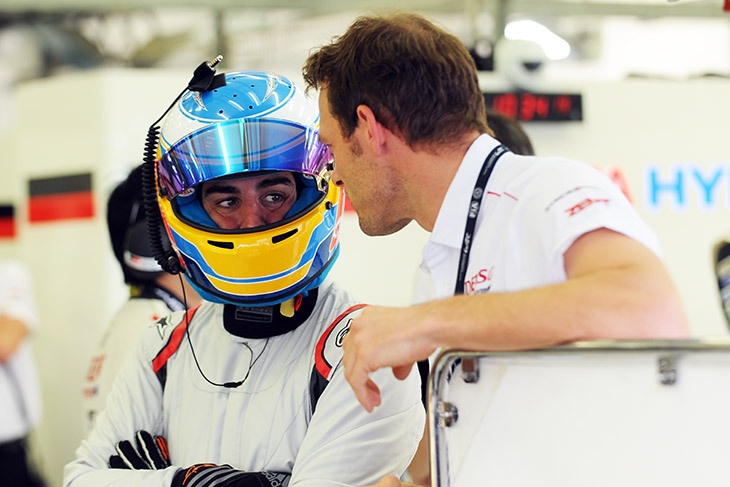 The first is that some of the anger that has been generated here has been directed fairly squarely at Alonso himself. That seems misplaced, as several sources have confirmed to me that at no time had he asked for the race to be moved; he may be pleased that this gives him a full championship run, but the change did not come at his request. From Toyota’s point of view meanwhile, this was something of a no-brainer to request. In a transitional season their choices for grabbing media value from their programs are fairly limited. A championship and/or Le Mans wins are expected rather than hoped for, ‘Toyota win at Spa’ is not a headline that is going to sell much further than the specialist media (though ‘Toyota beaten at Spa’ just might!). There’s little doubt that Alonso’s arrival is a major investment for this programme, and there are high hopes not just of what he may bring in terms of a competitive edge, but also what comes as additional media value from his presence, and indeed any success he has. To lose out on that at their home track, with a crowd that has shown, every year, that they are not only very firmly imbued in the endurance racing spirit, but that they have real passion for just about anyone even peripherally involved in Formula One (let alone a double World Champion competing for the ‘home’ team) would be a major fail on their part. In commercial terms the request was inevitable. From the FIA WEC’s point of view the situation was more complex but the ultimate conclusion almost as predictable. Whatever the health of the entry list there is no doubt that the 2018/19 season was going to be a difficult one. The loss of first Audi, then Porsche has had a potentially huge effect on the ‘show’ and a not insubstantial impact on the coffers of the WEC. With that in mind there is a duty upon those at the top of the shop to ensure that anything and everything is done to bolster the championship’s market position as the choppy waters towards a new set of LMP1 regulations are navigated. Whilst the numbers in the new-look LMP1 class are good news, the level of ultimate competition at present is an almost entirely unknown factor. Many would argue that Toyota, with its much larger resources, mature technology and inbuilt efficiency advantage hold pretty much all of the cards. That’s a tricky sell for a Championship looking to make an impact in a global media marketplace. 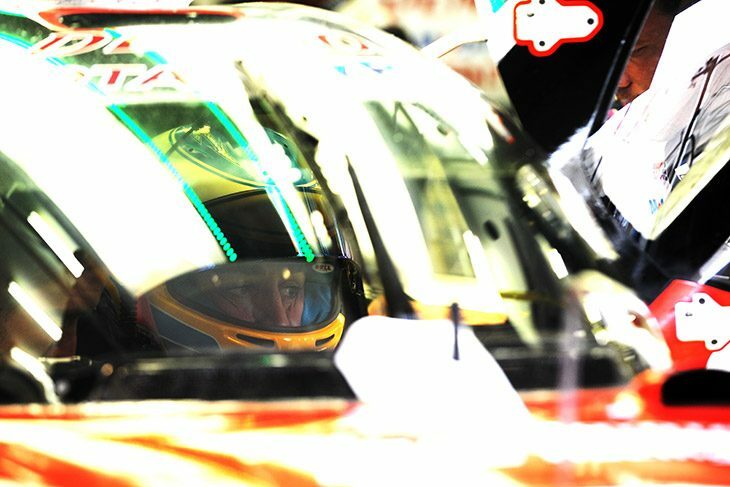 The arrival of Fernando Alonso was, of course, major news but the realities of clashing calendars bit hard – for Gerard Neveu and his team there was a serious imperative to ensure that this story line and commercial draw was not just one for the Le Mans 24 Hours, but that it could be sustained for the full WEC. The fact that confirmation of Alonso’s arrival, at least publicly, came so late helped nobody, least of all some of his on-track rivals in the WEC that had, perfectly correctly, sought additional programmes in a calendar year where the WEC has only five races. I hope, and expect, that the trouble has been taken by WEC senior management to talk individually to those who have clearly been directly impacted from amongst their entrants. That would be the correct response, to explain the move, to give those individuals an opportunity for some direct contact, and perhaps even to soak up some of the anger that the change has caused. It would be simple here to add: “I hope there have been lessons learned”, but in reality this is a unique situation and set of circumstances. 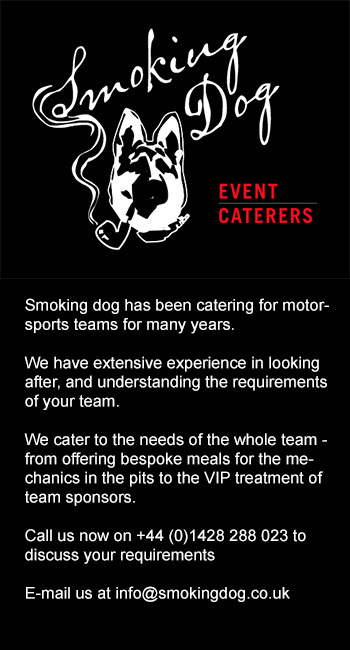 Once again though it underlines the importance of all of the major event organisers ensuring that the major races around the world are kept apart. There is a very solid argument that there is simply too much racing now to avoid the issue – and that doesn’t look set to change any time soon! More than one entry on the various lists raised eyebrows, and in some cases hackles, as it appeared that the teams, as announced, did not comply with the published regulations. In fact there were four: one in the FIA WEC, and up to three in the ELMS. 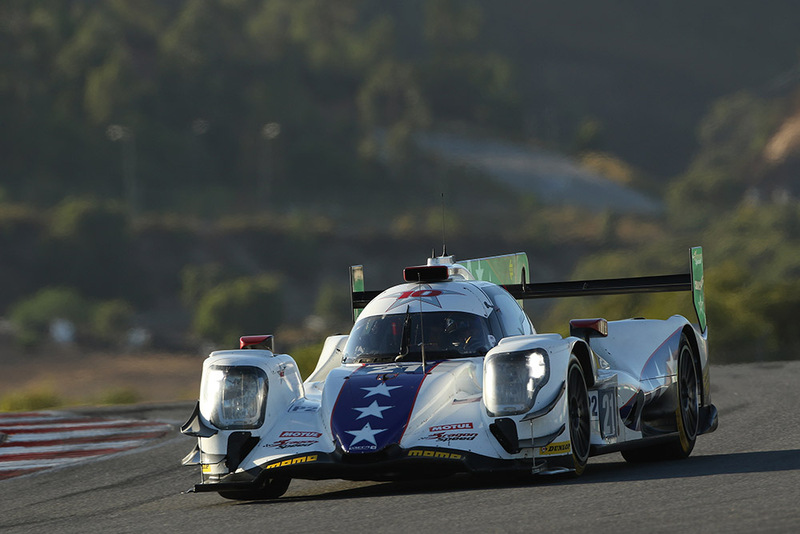 The WEC ‘issue’ surrounds the presence on the list of Henrik Hedman aboard the Dragonspeed LMP1 entry. Henrik is rated as Bronze in the latest FIA rankings and, as a man of a certain age, cannot be elevated to Silver. LMP1 regulations specifically exclude Bronze ranked drivers from competing in LMP1 and there was a certain degree of tub-thumping in some quarters that this had occurred. In fact there was no surprise, and no real drama here. DSC understands that the agreement for Hedman to compete was reached well before the end of 2018 with the team in close liaison with the FIA WEC. The end decision was that whilst there would be no change made, or requested, to the FIA ranking of Hedman, there would be consideration given, and in this case permission granted, on a case by case basis depending on driving experience and record. Whilst others in the media have employed a degree of ‘froth’ on this issue, the reality is that it is a perfectly sensible solution. The reality is that when the ‘No Bronze in LMP1’ rule was written, the current factory LMP1s were actually delivering slower ultimate lap times at Le Mans than the current fastest LMP2s. It is arguable that the rule may be now out-dated – though it still has some use in maintaining a yardstick for driving ability to some degree. We’d like to see a pragmatic addition to the rulebook applied, to recognise a depth of experience and safety on a case by case basis, but with a clear set of parameters applied to determine whether a Bronze ranked driver should be allowed to race in the ‘senior’ LMP class. The next examples were relatively easily dealt with, a pair of ELMS LMP3 entries listed, one without a Bronze-ranked driver, the other looking certain to end up that way with an un-ranked driver near certainly set to be ranked at Silver. There was an immediate response from a number of other ELMS entrants, with emails and phone calls flying – the reality though was that both teams had committed to fielding a Bronze driver apiece – but had not listed them on the season entry as yet – no drama there it seems. The final example though has raised hackles – it surrounds the #26 car in the ELMS, a G-Drive Racing entered car operated by TDS Racing. The car has an auto entry for the Le Mans 24 Hours courtesy of the ELMS Championship win for the DragonSpeed operated G-Drive branded car in 2017. The upset has been cause by the fact that the entry was initially listed (albeit with a with a pair of Gold-ranked drivers (Roman Rusinov and Matthieu Vaxivierre) and a Platinum rated driver (Jean-Eric Vergne), but no Bronze or Silver – in what is supposed, very solidly, to be a Pro-Am formula. The response from other competitors was predictably irate and the initial response from the championship did not give a clear reason why the entry had been allowed though sources suggest that the same ‘case by case’ process was used here to provisionally approve the entry as was used to allow Henrik Hedman to race in LMP1 in the WEC. That seems to indicate that Roman Rusinov sought to persuade the organisers that his pace was not sufficient to warrant a Gold ranking (something he has always tried to actively manage) and that he was initially granted an opportunity to prove that case. It has been confirmed to DSC by Rusinov himself though that the final decision was reversed – and that the team is now being reconstituted – Vaxivierre is no longer likely to race in the #26, and it is quite possible that Vergne won’t either. Several other drivers have been considered for the vacant slot(s) and at least three were tested at the recent Dunlop tyre test at Motorland Aragon. A further change confirmed for the coming WEC season sees pitstop regulations amended to permit wheel changes whilst the car is still fuelling, something that has not been allowed in ACO rules competition for many years. 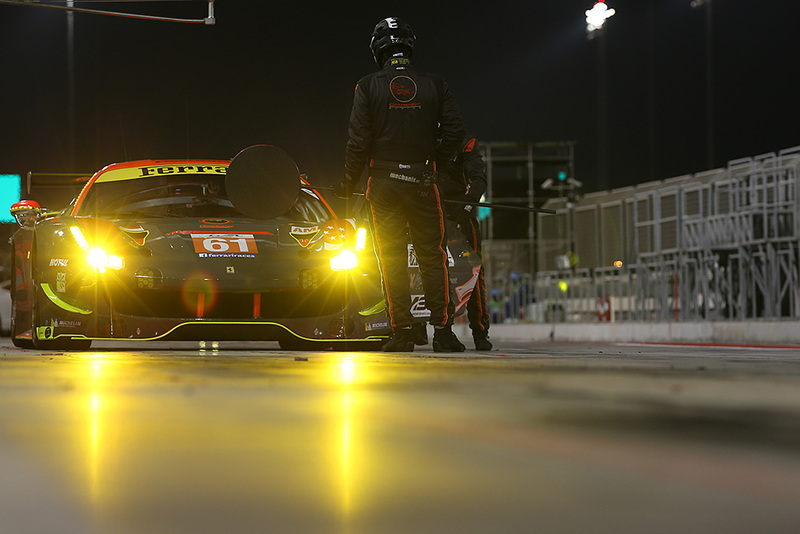 “To make the pit stop a bigger part of the ‘show’ – we had observed that amongst all major championships the WEC pitstops were the slowest, not because they were less professional, but because the cumulative effect of regulation was to extend the time on pit lane. “We have assessed any safety implications and it is clear that the wheel changers do not physically intrude on the areas required for the refuellers, that should be no problem at all. It does though mean that one element of strategy is impacted upon, the balance between attempting to add a further stint on tyres and save a chunk of time in the pits is now gone, though the challenge of racing on a limited tyre supply is not. Let’s see how this one pans out, let’s hope it does provide a further competitive edge and not turn out to be a further artificial ‘leveller’ that has a greater effect on the overall picture than was foreseen, this writer does not want anything anywhere close to the 2016 Spa 24 Hours, with tight controls on stint times, pit stop times etc to blight other endurance races. If it works we’ll celebrate – if it doesn’t we’ll be suggesting flexibility of outlook should prevail.